April 4, 2019 (Notre Dame, Ind) — Saint Mary’s College is proud to announce that the National Science Foundation (NSF) has awarded Bettina Spencer, associate professor of psychological sciences, in collaboration with the University of Notre Dame, a grant to host a Research Experience for Undergraduates (REU) site. The grant funds three years of computational social science research for 10 students nationwide, with four spots reserved for Saint Mary’s students this first summer. For 10 weeks, students will receive training in statistical techniques and software. Students from underrepresented backgrounds have been prioritized, and this year a diverse pool of women, students of color, and first generation students have been selected. 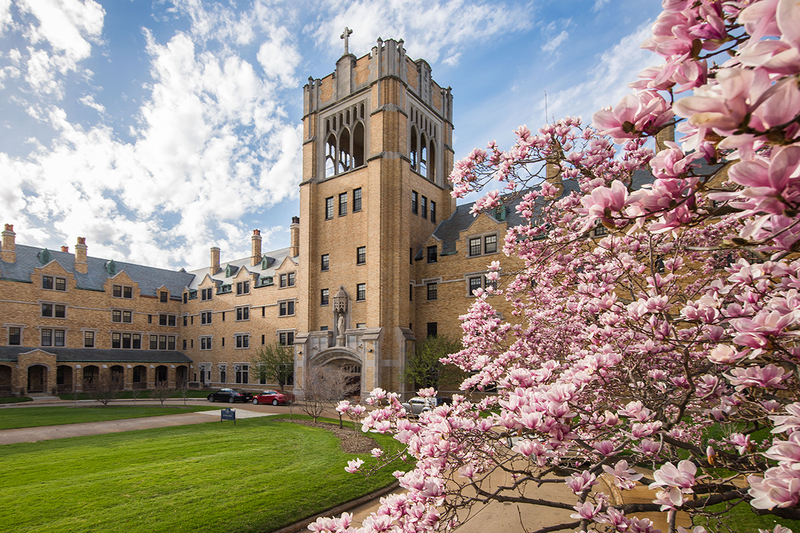 Participants will work with a faculty member at Saint Mary’s College or the University of Notre Dame to do their own individual research projects linked to the topic of the mentor’s work and have the opportunity to present their research at a symposium in July. The award promotes the progress of social science discoveries through the application of advanced computational applications. This REU training environment will develop multidisciplinary social scientists with the appropriate expertise to solve problems of national interest such as personality analysis (psychology), interpersonal networks (sociology), family savings (economics) and interdisciplinary perspectives on equality and diversity. The grant will have a broad impact on students’ professional development as social scientists. With the rapid growth of computational social science as an approach to analyzing the social world, the program is committed to supporting students from underrepresented groups. In addition to the research, the program will provide opportunities for students to develop professional connections with research peers and faculty.